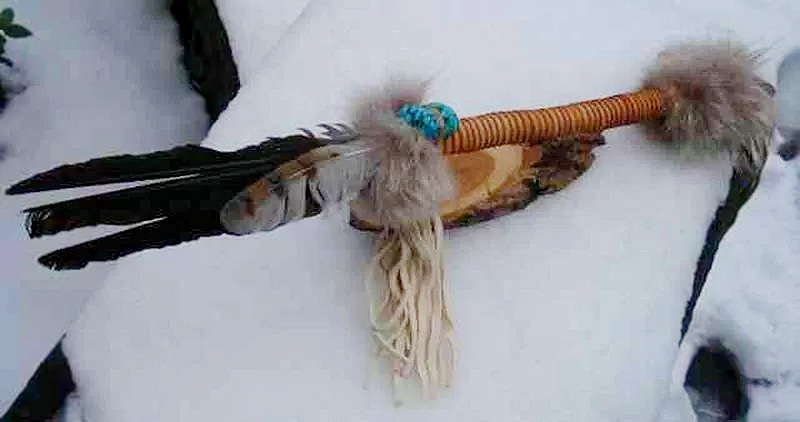 The talking stick, also called speaker’s staff, is an instrument of aboriginal democracy that has been used by many tribes, especially those of indigenous peoples of the Northwest Coast of North America since hundreds of years. The talking stick may be passed around a group from member to member allowing only the person holding the stick to speak. This enables all those present at a meeting to be heard, especially those who may be shy. The talking stick goes round the circle from hand to hand. Whoever holds it is allowed to speak, namely his own truth (the so-called I-message), with an open heart and with respect. The intention is to say what is essential, what is important to the individual and the group. Everybody is supposed to listen in full attention, appreciative, without interrupting, without judgment or analysis, and without giving advice. Everyone in the round gets their turn – the staff circles until everything is said. This form of discussion is clearly more stress-free for everybody. It is especially valuable in talking circles, when emotions have built up, and underlying pain causes righteousness, prejudices, and self defense. Everyone gets the time they need to talk and think. Everyone is listened to. Even the more timid and shy ones, which are often not heard, get their turn. The space can open up for new insights and solutions that would otherwise not have occurred.